Need some more space and luxury? 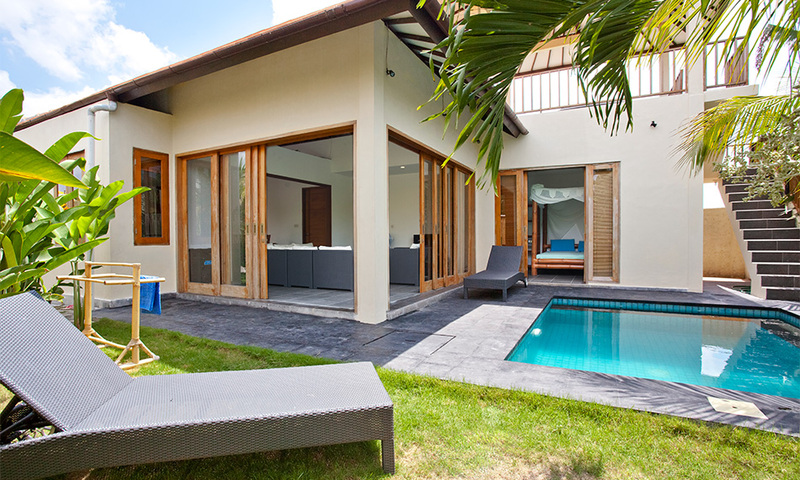 Check out our private villa! 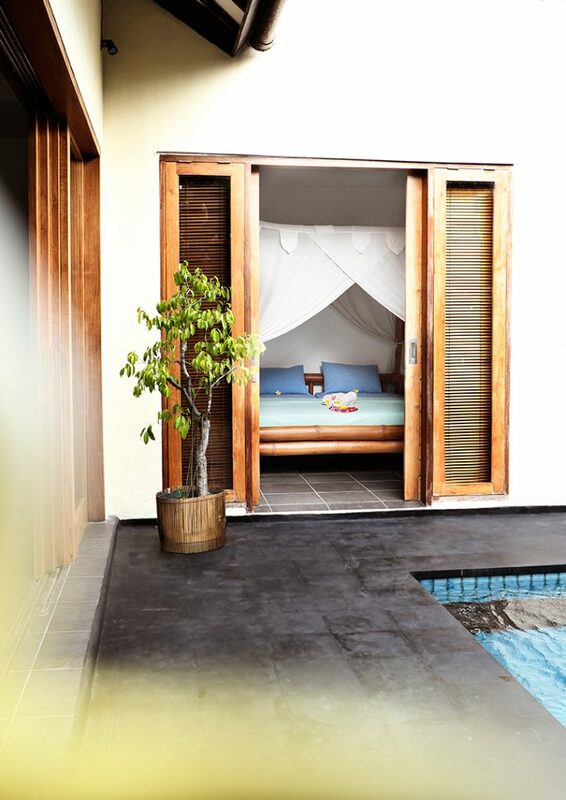 The villa will be your own small kingdom, including mini-pool and a rooftop terrace with lounge atmosphere. 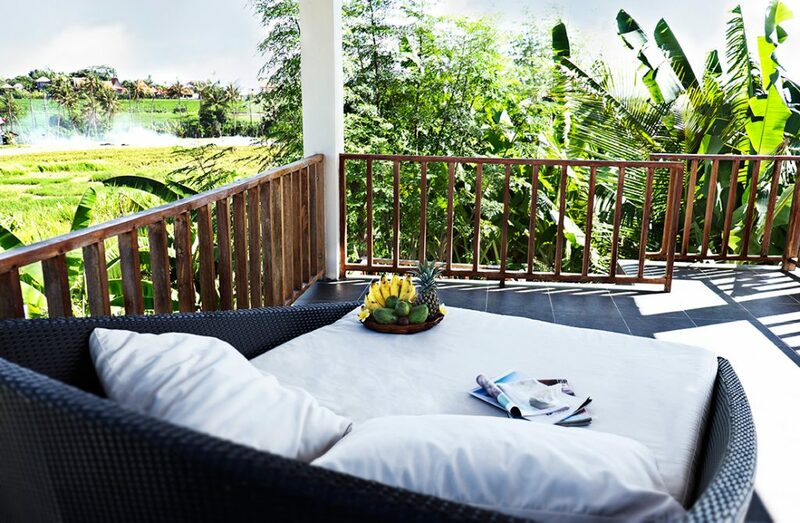 Seen from the top you’ll have the perfect view over the surrounding rice fields – enjoy the sunset! The spacious living room with flatscreen TV, HiFi and DVD is equipped with a sliding glass front. Together with the fully equipped kitchen it forms a lovely living area. A maximum of 4 people can stay at the villa at the same time. So it’s up to you whether you rent the entire villa or just save yourself a place in one of our deluxe rooms. One of the two deluxe rooms is a double room with king size bed. Perfect for couples or very good friends. 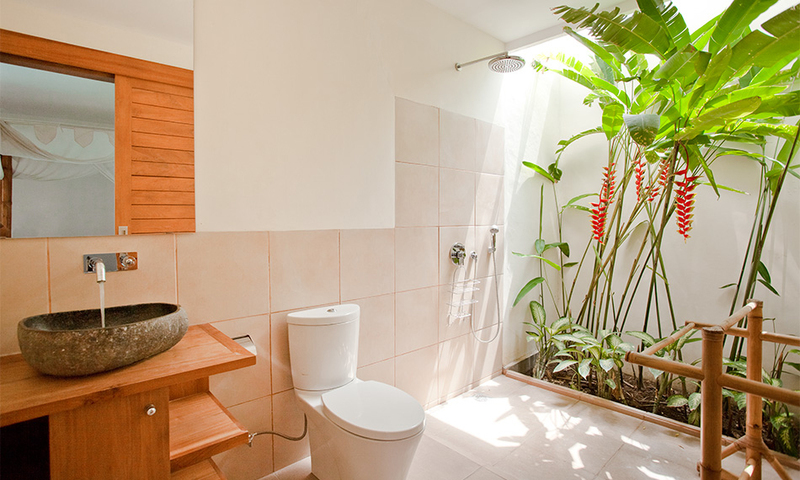 Of course, you’ll have your own open bath and the entire villa will be your playground. 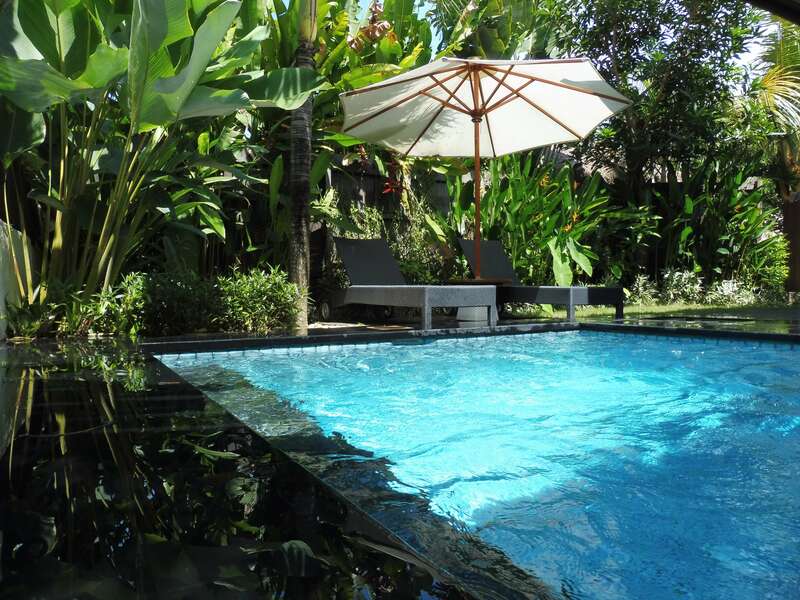 Both rooms are equipped with air con and private bathroom. The second deluxe room has two single beds. The best accommodation for surfers looking for a bit more privacy. Your own open deluxe bath is attached to the room. 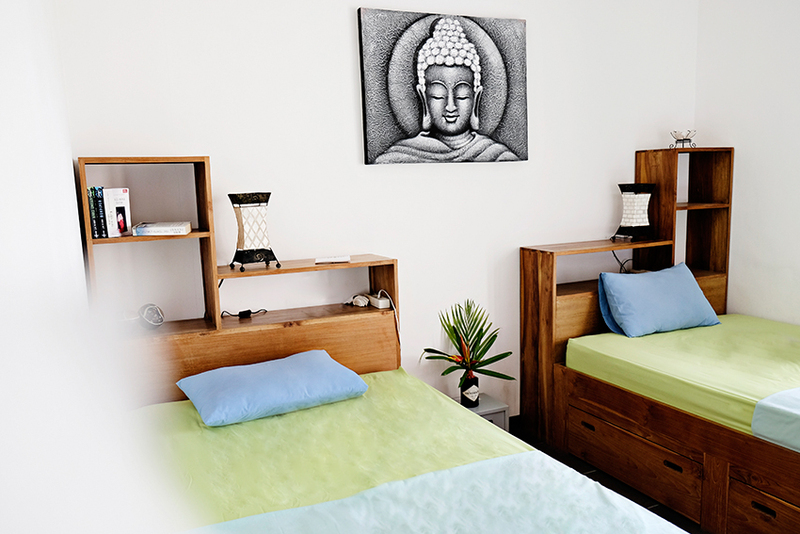 Both rooms are equipped with air con and private bathroom. You’ll find the prices at our Surf WG price calculator-site. –> Go back to acommodation-overview.